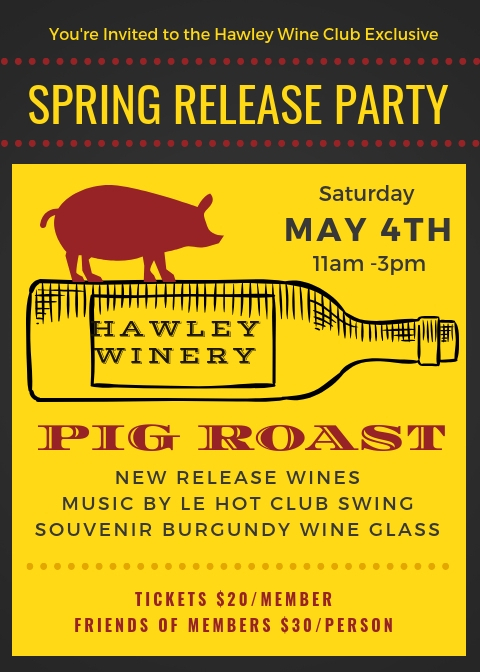 Join us for our Spring Release Party! Le Hot Club Swing! The longest running Gypsy Jazz Djam in Sonoma County! Catered Pig Roast by Chef Stratton of Fogbelt Brewing Company! Your very own Hawley Logo Burgundy Glass to keep!